If you’re working on a larger project it can be daunting dealing with all the content. In GatherContent you can break up larger projects into smaller, more manageable ones. A project is a bucket of content. That content is broken up into Items and each Item has a status to communicate its point in the overall production process. A typical project would be a website, but it could also be a blog, a series or articles or a marketing campaign. You may have different people in your company involved in different parts of the website. Using a bank as an example, there could be different teams such as mortgages and insurance. If you divide the overall project into smaller ones, so having a project for the mortgage section and a project for the insurance section, this will allow the different people on those related teams to input into the content that’s relevant to them, depending on their skills and knowledge. 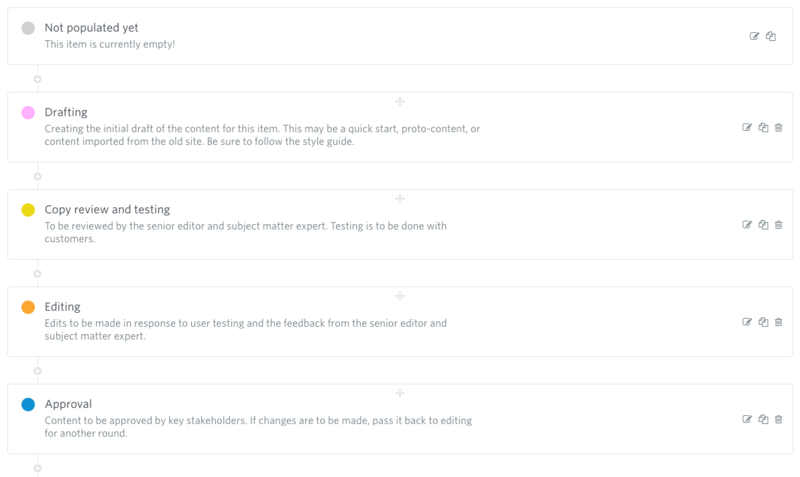 In GatherContent you can create unique Workflows for each project so you can tailor this to meet the needs of each team/project that you set up. It also means that not every piece of content has to be approved in the same way depending on who is involved. For example, if there’s a section of your website such as a marketing campaign or a series of articles that might go through a different review process or different production process, you might create separate projects for those in GatherContent so you can create different Workflows for them. Each project in GatherContent has its own unique set of Templates so by breaking up a larger project into several smaller ones, you can have different Templates for each of those smaller projects. An example of this is a blog. This may be separate to your main website project as it will use different types of content such as articles, whereas your website will deal more with pages and more specifically in some cases, product pages. The final reason for breaking up projects is scale. If you’ve got a large website with maybe 10,000 pages you can break this up into several projects, which could be better from an organisational point of view. This makes it easier to search and organise your content. It can help focus your attention and turn what in many cases is a daunting task into an efficient and collaborative process.